New York City is an incredible place to visit at any age, but it’s especially fun for teens. 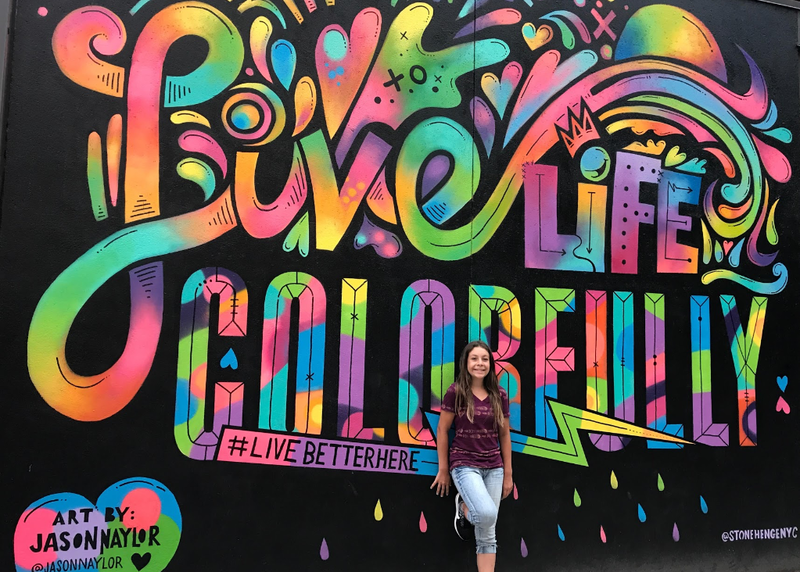 In an effort to help you plan a trip to New York City with your teens, we’ve partnered with Meagan Wristen from Mommy Travels. 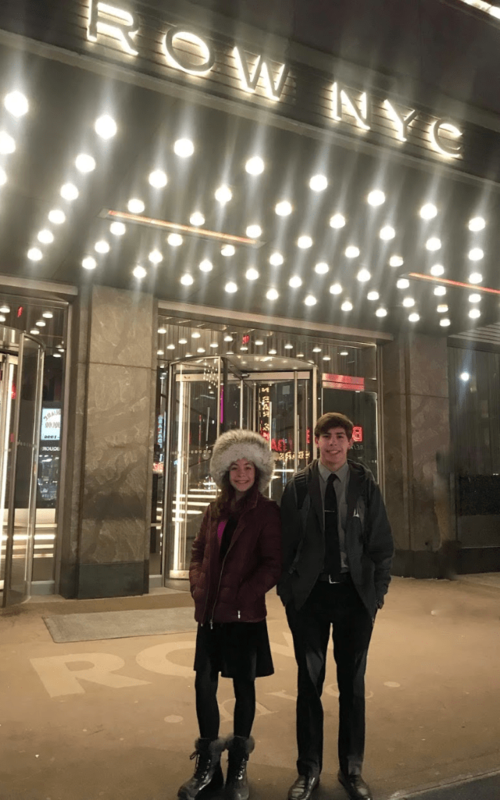 Meagan takes her teens to NYC at least once a year! 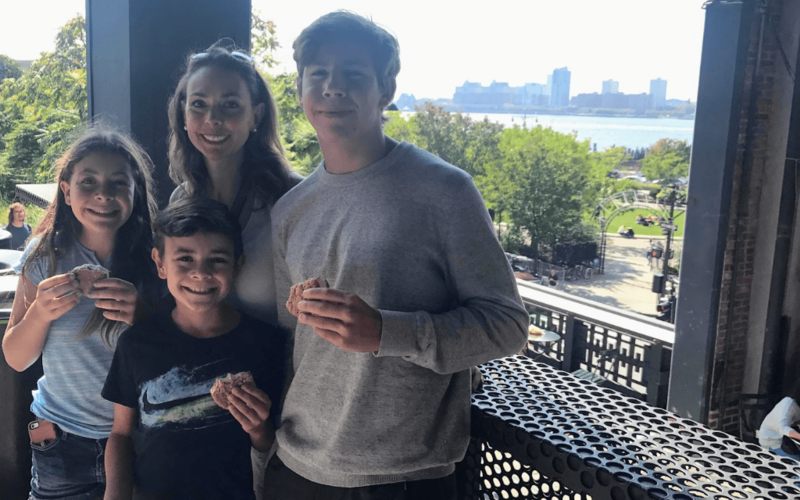 If you ask my kids where their favorite place is, my oldest would immediately respond with New York City, and the other two would quickly agree that it’s one of the best. My kids have grown up going to NYC, off and on their whole lives. I must say that as they’ve gotten older the trips have gotten better. Why? Because teens love NYC. One of the things that I put off while the kids were younger was visiting the 9/11 Museum. I was told to wait until the kids were older, and I would agree. Kids need to be at least 11 before they visit. Once they are teens they are equipped for the intensity of the 9/11 Museum. The museum is extensive and goes in depth. This is a vital part of our history and a highly educational experience. Teens love having good photos for their social media accounts, and there is no better place for awesome photos than the Empire State Building. It was completed in 1931 and stands at 102 stories tall. 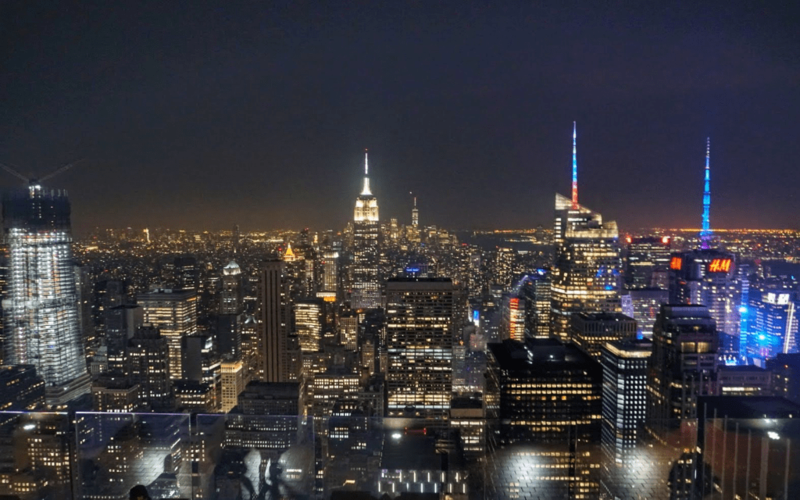 Another fantastic place to enjoy the sweeping views of New York City and Central Park is Top of the Rock. Top of the Rock is part of Rockefeller Center. 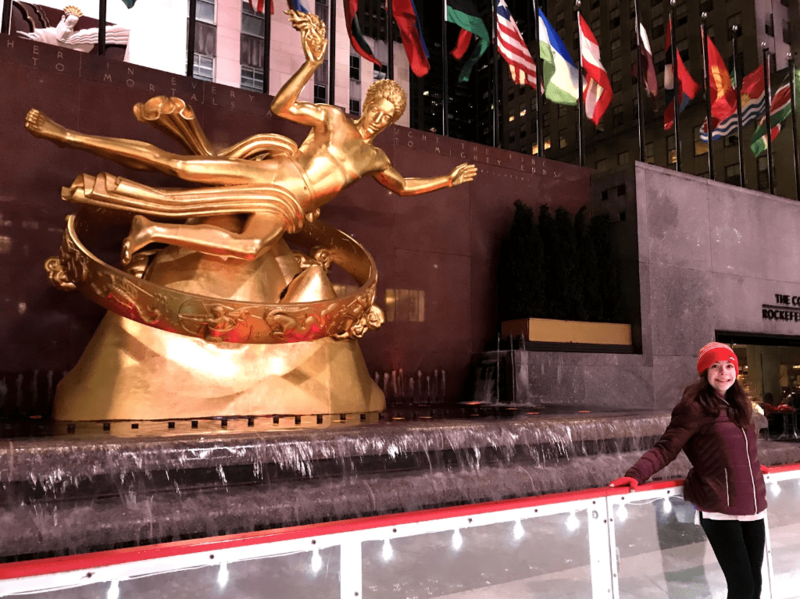 If it’s winter, be sure to take them ice skating in Rockefeller Center, just so they can have bragging rights. Again, teens love taking photos. While you walk around, keep your eye out for street art. Did the trip really happen if there aren’t any epic photos of it? The Ride is a highly engaging bus tour in NYC. Instead of listening to facts about the city over earphones, there are two people singing and joking sarcastically live. Along the way, you encounter all kinds of live action, including rapping, dancing, and more. Needless to say, this is a far better way for teens to see the city. Visiting NYC without seeing a show should be illegal. Broadway is packed full of talent and a variety of shows. If you haven’t seen Wicked before, I’d highly advise that you see this show. Although shows are expensive, you can get discounted tickets in an assortment of ways. Two apps that I recommend are TodayTix and tkts. Located in Times Square, there is a half price ticket stand underneath the bleachers. They will have a list of discounted shows each day. Most teenagers enjoy shopping, and NYC has just about every store imaginable. In Times Square, you will find an American Eagle, H&M, Forever 21, and Express. There are a few markets in NYC, including the Chelsea Market. The Chelsea Market is open every day and has lots of shops and eateries. Plus, it’s a cool space which means teens can get more cool photos. Plan to eat lunch at the street taco shop and don’t leave without heading up to the High Line. Oh, and skip the Vietnamese joint, your teens will hate it. No, I don’t mean that. I’m talking about the High Line. This is an old railway that ran through the city that they have converted into a pedestrian green space a few stories up. You can avoid busy streets by walking along this instead. 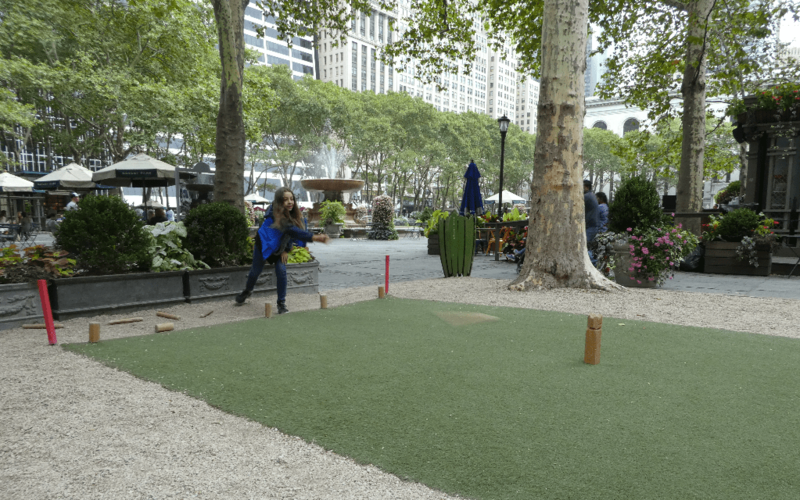 A perfect stop during your day is Bryant Park. In the winter months you can ice skate and shop. In the summer you can play free games like kubb and have a drink outside at Southwest Porch. In New York City, it is unacceptable to have a bad meal. Here are a few places we’ve found over the years that are enjoyable to dine at and have photogenic food. The Malthouse: The Malthouse has an excellent Sunday brunch with a bottomless cocktail option that moms of teens deserve! 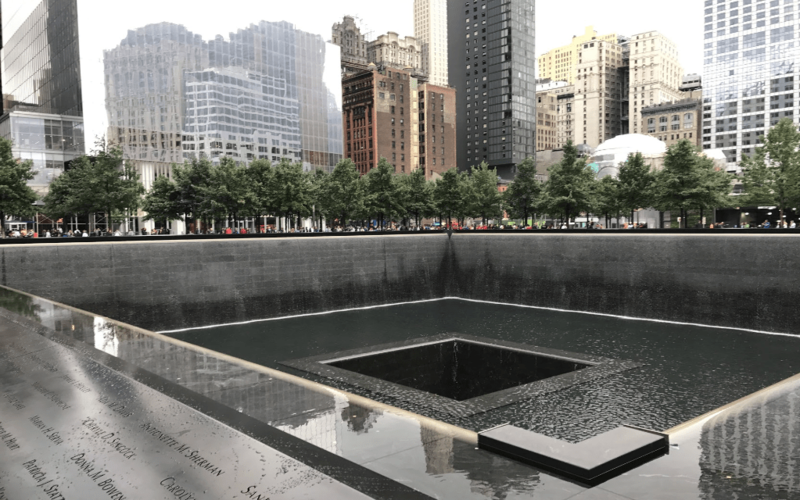 You will find this near the 9/11 Memorial. 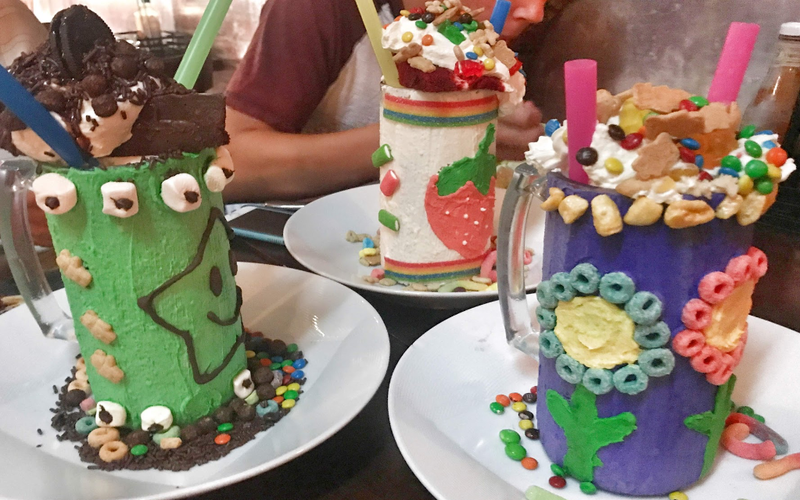 Buns Bar: For the most psychedelic milkshakes you have ever seen, this is the place. Black Tap: Chances are you’ve heard of this place. It used to be difficult to get in, but they’ve opened up multiple locations. If you’re interested in grabbing a burger and a freak shake you will love this place. Juniors: Juniors has the best hot chocolate in the world. Maybe it was because it was 8 degrees during our last visit to the city, but when we stopped in to warm up with a mug of hot chocolate, I swear it tasted like heaven. They also serve milkshakes with a slice of cheesecake on top. They have multiple locations in NYC, including near Times Square. Citizens Kitchen: If you are looking for a more affordable place to eat, you will appreciate the nine eating options found inside Citizens Kitchen. They offer a little bit of everything like sushi, tacos, lobster rolls, donuts, and more. You will find this one block from Times Square inside the Row NYC hotel. If you visit during the winter months, there are multiple places to go ice skating. Bryant Park offers free ice skating, but you have to rent the skates. Rockefeller Plaza charges for ice skating and skate rentals. Military members get 50% off tickets at Rockefeller! On a Budget: If you are on a budget, stay at the Hampton by Hilton in Chelsea. Amenities include free breakfast! Middle of the Road: Residence Inn East is a nice in between, not cheap, but not too expensive. This hotel has breakfast included as well. Splurge: I highly recommend splurging on a suite or penthouse. Row NYC offers a fairly reasonable penthouse just one block from Times Square. The location is ideal and the ability to spread out over two bedrooms and two and a half bathrooms makes a world of difference for families. On-site is Citizen Kitchen, a conglomerate of tasty places to eat. I could add many more places to see, things to do, and places to stay, but this is everything you need for a successful trip to NYC with teens. Of course, there’s always more to do if you stay a few more days. You could see the Statue of Liberty, find your last name on the wall at Ellis Island, or bike through Central Park. Rest assured that no matter what you do, your teenagers will love New York City. That looks like a great plan for a day in NYC!